NEW DELHI: The Congress and the AAP on Tuesday made fresh efforts with the help of NCP chief Sharad Pawar to forge an alliance in Delhi for the Lok Sabha polls, days after they unanimously decided to go it alone in the national capital. The NCP leader stepped up efforts for reconciliation between the two parties which have been making statements against each other, with AAP leader Sanjay Singh meeting Pawar at his residence here. 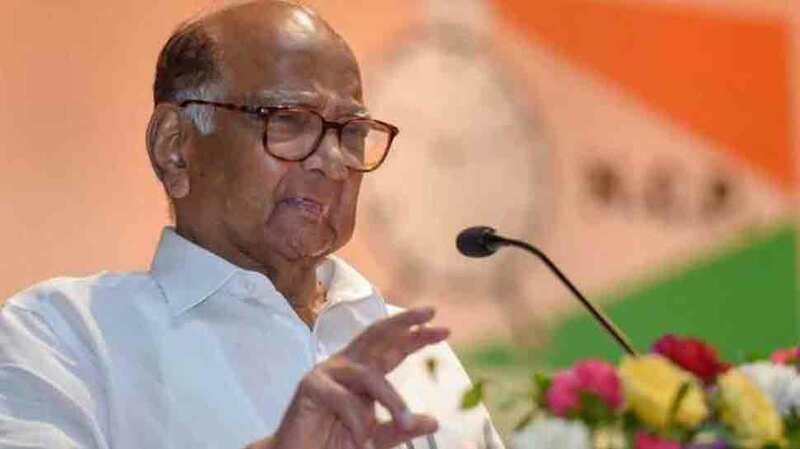 Pawar also held talks with some senior Congress leaders, including party president Rahul Gandhi, for bringing the Congress and the AAP together in Delhi, sources said. In a separate meeting, Delhi Congress chief Sheila Dikshit held discussions with the party’s state unit working presidents Devender Yadav, Haroon Yusuf and Rajesh Lilothia at her residence. Dikshit said she was against any alliance with the AAP but would abide by any decision taken by her party chief in this regard. The Aam Aadmi Party (AAP) also made a fresh bid for alliance with the Congress in Punjab, Haryana and in Delhi on a ratio of five seats for it and two for the grand old party, the sources said. The AAP also wants to contest on three seats in Punjab and two in Haryana, which it is demanding from the Congress, they said. AAP’s Sanjay Singh also discussed the proposal with Pawar, who is trying convince the AAP and Congress to field common candidates in all the seats to defeat the BJP in the Lok Sabha polls. The Congress leadership is also in talks with AAP leaders and senior leaders within the party and are trying to convince Delhi Congress leaders for an alliance with the Arvind Kejriwal-led AAP, though they publicly maintain going alone, the sources said. Congress’s in-charge for Delhi, PC Chacko, said: “I am in consultation with Congress party leaders in Delhi on the possibilities of forging an alliance with AAP. “The Congress Working Committee (CWC) has decided to align with like-minded parties across the country to defeat the BJP in Lok Sabha elections. I hope Delhi Congress leaders also go by this sentiment and decide on an alliance with AAP, but a final decision will be taken by the Congress president soon,” Chacko told PTI. Chacko’s views are at variance with Dikshit, who has made it clear that aligning with AAP will not be in the party’s interests keeping in view the assembly election in the national capital slated later. “I am not in favour of alliance with AAP, but I would abide by any decision taken in this regard by the Congress president,” she said after the meeting. The Congress had earlier decided to go alone in Delhi after talks with AAP failed and local leaders favoured that the party contests LS polls alone. The Delhi Congress leaders felt that “saving” the party was crucial in Delhi in view of impending assembly elections in the state. The Congress has been facing alliance troubles in Bihar and West Bengal, where it failed to forge alliance with the Left, and has been kept out of the ‘mahagathbandhan’ (grand alliance) of SP-BSP-RLD in Uttar Pradesh. It is learnt that the Congress-RJD seat-sharing is also in troubled waters as they did not declare candidates on March 17 as promised. “Unsolicited advice to all leaders of opposition parties, ‘stop speaking against each other in public. Sort out your differences privately’,” he also tweeted. Sanjay Singh told reporters after meeting Pawar that with the Constitution, democracy and the country in “danger” under the Modi government, attempts should be made by all opposition parties to unite and come together to fight it out. “The party can be saved later….There will be enough time to save the party. Right now the attempt should be to save the country and democracy, which is in danger due to the Modi government,” he said, without giving details of his meeting with Pawar. “It is up to the Congress that has to take the decision now. We have learnt that they are also willing to forge an alliance with the AAP in Delhi,” he said. When asked about any prospect of a tie-up, Singh said all parties must forgo their petty difference and unite against the BJP if the country and its institutions have to survive. Earlier on Tuesday, senior AAP leader Gopal Rai told reporters there would be no alliance with the Congress and that his party would contest the polls alone. The talks of Congress-AAP alliance first cropped up during a meeting of opposition leaders at Pawar’s residence on February 13, where Rahul Gandhi and Kejriwal, besides Mamata Banerjee and Chandrababu Naidu were present. Chacko said some senior leaders in Delhi, who think defeating BJP is the party’s immediate responsibility and for which an alliance should be forged with AAP, have written to Gandhi on the matter. “I hope our Delhi leaders also follow the policy decision of the CWC. I am talking with them and trying to convince them about this, but if they still decide not to forge an alliance, it is up to them,” he said. The Lok Sabha elections in Delhi are slated for May 12.